PMHA’s staff, along with our lobbyist firm, Milliron & Goodman Government Relations, LLC, put forth a lot of time and energy into tracking legislation that could affect the manufactured/modular housing industry, researching issues and devising plans of action to affect the laws governing our members. PMHA’s Legislative Review will provide an overview of what bills are currently in process and what PMHA’s standing is on these bills. 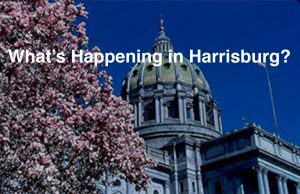 Click on the “What’s Happening in Harrisburg?” photo to see what’s happening legislatively and to easily identify and contact your PA Senator and/or PA Representative. Are you looking for more detailed information on a bill currently in the legislative process? Click the “Legislation” button and search PA’s General Assembly website by bill number, keyword/phrase, date, committee, etc. Not sure who your state or federal legislators are? 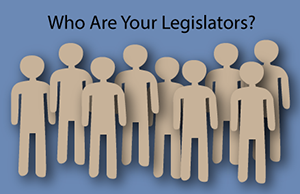 Click the “Who are your Legislators?” photo and enter your physical address. Your results will list contact information for your state and federal senators and representatives. Not only is tracking legislation and working with our legislators a time consuming process, it also takes money. Through a golf outing and other fundraisers, the Pennsylvania Manufactured Housing Political Action Committee (PMH PAC) works to raise funds to bring attention to the manufactured/modular housing industry on Capitol Hill but, that’s not enough. There are several ways you can help – Maintain a Strong Voice on Capitol Hill. This is an excellent way for members to create positive and long lasting relationships with their elected officials. Members of the PAC Legislative Team will be asked to contact their legislators when there are major issues that may affect the industry.They are also called upon to help raise funds (through activities and events) and PAC awareness and deliver PMH PAC contributions. There are six different ways you can financially support the PMH PAC. Together, we can make a difference! 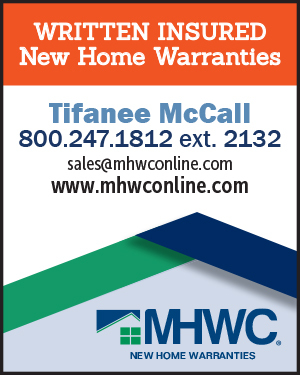 Become a PMH PAC Gold Page Sponsor and for a small contribution, your business card advertisement can be included in the gold pages of the next six (6) editions of the Pennsylvania Perspective, PMHA’s bi-monthly newsletter. Sponsoring a Gold Page is a great way to advertise your affiliation with the PAC and shows you care about the issues that affect our industry. Become a PMH PAC Club Member and make an annual contribution there are several levels of membership ($125-$2500) there is bound to be one that can fit into your budget. Make a Pledge to PMH PAC using your personal MasterCard or Visa. Set up a monthly, quarterly or one time contribution. You name the amount – every dollar helps our cause. Purchase a Wheels Not Included whimsical industry print by world renowned artist Bruce Johnson – a PMHA exclusive! Participate in our PMH PAC Raffles – we hold several throughout the year at many of our events. PMH PAC Raffles can including 50/50 raffles, raffling off donated items, raffling off event registrations, etc. Support our annual PMH PAC Golf Outing and get a day of great fun and sunshine! What better way to support PMH PAC than with a beautiful day golfing with friends. Not a golfer, don’t worry we always need skill prize, hole and event sponsors. Come out and spend the day with us we can always use a few volunteers to help out. Click here for more information on our upcoming PMH PAC Golf Outing and other PAC fundraising events and activities. Need more information or have questions. Review PMH PAC Frequently Asked Questions here or contact Toni at PMHA 888-242-7642.